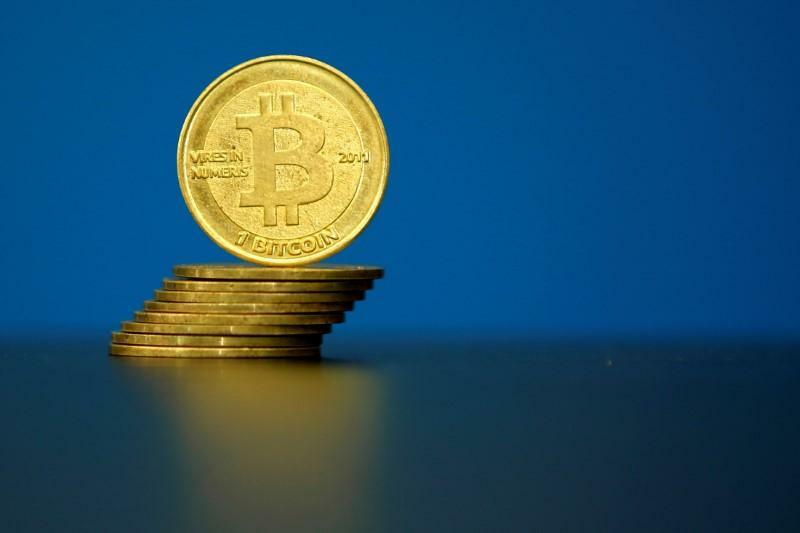 NEW YORK (Reuters) - U.S. venture capital firms lining up for a slice of the burgeoning digital currency market are grappling with a novel challenge - some of the hottest tech startups that sell the coins just don't need their money. Only a few years ago, digital currency entrepreneurs, like other Silicon Valley peers, had to line up to pitch their ideas to venture capitalists, who controlled their destiny as virtually the only source of funding. So-called initial coin offerings (ICOs), where new tech companies using blockchain technology can raise millions quickly by creating and selling digital "tokens," with no regulatory oversight, have turned traditional relationships upside down. "The day when VCs were the elusive elite and primary source of capital for startups has ended," said Jamie Burke, founder and chief executive officer of VC firm Outlier Ventures, which specializes in blockchain and other technology investments. "When a startup can raise $35 million in 30 seconds without any dilution, the genie is out of the bottle and it isn't going back in," he said, referring to Brave, an open source web browser that blocks ads and trackers, which sold its Basic Attention Token in June. Coin sales have already eclipsed funds blockchain firms received from venture capital, which invested over $300 million in equity in the sector in the first half of this year, Coindesk data showed. Still, the tokens' strong gains on dozens of online exchanges got venture capital firms' attention and several sought to get a slice of the offers in exclusive pre-sale deals, public sales or both. Prominent venture capitalists Tim Draper and Blockchain Capital co-founder Brock Pierce told Reuters they have participated in coin offerings. Many of these VC firms also take equity in the start-ups that issue the coins. However, venture capital firms moving into the world of digital currencies face unprecedented pushback. Some issuers limit the size of pre-sale deals, making venture capital firms scramble like everybody else for sought-after public offers. Pierce of Blockchain Capital said the old business model that gave venture capitalists and founders the lion's share of a company no longer worked with blockchain firms. "Whether VCs like it or not, venture capital will become a very small part of capital formation," he said. The reason is that firms issue tokens not only to raise money but also to attract a broad group of enthusiasts who can help develop their projects hoping to lift the value of their investments. "Tokens can galvanize a community: lots of individuals and corporations are able to work together and improve a decentralized network," said Ryan Shea, co-founder of tech start-up Blockstack in New York. Blockstack recently launched a new browser that will give users access to new applications on their own devices without remote servers. "I think if you have a few venture capitalists that come in and sweep up all the tokens, to me that's a failed token sale," Shea added. Stelian Balta, developer, entrepreneur as well as founder and chief executive officer of Singapore-based hedge fund HyperChain Capital, is one such investor issuers target. "We help in the security audit of the tokens, we help introduce developers for coding purposes, and we have introduced the start-ups to our own network of connections," he said. Venture capital firms' digital currency investments still account for only a sliver of the roughly $19.3 billion they have invested in tech-related sectors in the first half of 2017, according to data from consulting firm PwC and research firm CB Insights. But the double-digit returns coins have delivered over the past few years is not something venture capital investors want to pass up. According to tokendata.io, a new website that tracks initial coin offerings, these tokens trade on the exchanges at 20 times their initial sale price on average. That number is skewed by high-performing outliers and the median multiple is three. Yet VCs sometimes have to make do with less than they bid for in token sales. For example, U.S. startup Civic, which is building an identity verification network, trimmed venture capital firms' and other institutional orders in a pre-sale of its token, the company's co-founder and chief executive Vinny Lingham told Reuters. Venture capitalists recognize digital coin sales as a genuine disruptive force, but argue they still have a role to play - helping blockchain startups build teams and devise longer-term business strategies. "The investors who bought your token, like public market investors, may be gone tomorrow, next month, or next year, having moved on to the next big thing," said Fred Wilson co-founder of Union Square Ventures, which has participated in coin sales. "VCs, at least the best ones, are there for your company in good times and bad." Yet as long as coin sales provide quick, hassle-free access to funds, start-ups tend to focus on technical expertise and see less urgency to tap venture capital funds. "People who provide value are those who have insight on how blockchain works," said Jake Brukhman, a partner at U.S.-based CoinFund, which invests in tokens. "I think VCs are two years behind on blockchain."